Worldwide there are 459 biospheres. South Africa has four of them and one of them is in the Western Cape. The one in the Western Cape stretches from the Diep River just north of Milnerton to the mouth of the Berg River in the north near the country town of Velddrif. It covers an area of 378000 hectares which includes the coastal lowland plains along the West coast of the Western Cape. The area is unique in terms of its natural beauty, biodiversity, history, culture and location. It is a place on earth where life dwells. It can extend over 378000 hectares of the earth's surface but it can also extend below the ground up to depths of 8732 metres as it does in the Puerto Rico trench. The sky above us is also included in our biopshere and reaches as high as you might find birds flying. Certain birds such as the Ruppell's Vulture sometimes fly at altitides of 11300 metres above the surface of the earth. Microscopic organisms can live at such extremes that if you take them into consideration part of life in a biosphere can extend from 5,400 metres above sea level to at least 9,000 metres below sea level. In Cape Town we do not have high flying birds or trenches extending 9000 metres below sea level but we do have a whole lot of other unique aspects in our biosphere. Worldwide biospheres are normally controlled by elected government officials but here in the Cape the biosphere is run by elected volunteers. This of course makes the operations of the biosphere just that more effective as there is little red tape to be encountered. The west coast biosphere is the only biosphere in the world to have within its borders a nuclear power station, a toxic dump site and a city boundary, that of Cape Town. Parklands to the north of Cape Town is the fastest growing residential area in South Africa. In this biosphere there are two harbours. 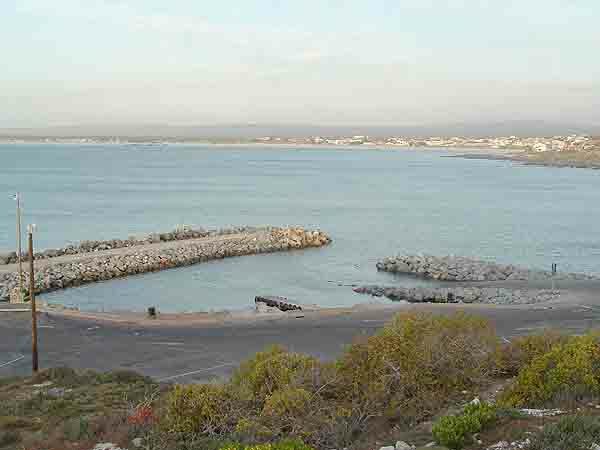 The first is the Saldanha Bay harbour built in the northern section of the Langebaan lagoon inside a RAMSAR area. The harbour is used to export iron ore mined at Sishen in the Northern Cape. Yzerfontein harbour on the west coast about 100 kilometres from Cape Town is the second of the harbours in this biosphere. It is used to launch small fishing boats and is the harbour where the largest number of line fish are landed in the country. Snoek are the most popular fish landed and make up the bulk of the line fish brought ashore here. Dassen Island situated about eleven kilometres offshore from Yzerfontein is one of only two pelican breeding grounds in South Africa. The other is found at St Lucia on the East coast of South Africa. Unlike Robben Island to the south Dassen Island is not open to the public. To the north at Lamberts bay is the largest colony of gannets found anywhere in South Africa. The town is very fortunate to still have the gannets as a few years ago the seal population which shares an island with the gannets forced the gannet population to leave en masse to escape nightly attacks from rogue male seals. Fortunately, by placing decoy birds on the island, nature conservationists managed to attract the gannets back to their breeding grounds. Inland from Langebaan is a fossil park where fossils dating back two to three million years have been found. The park is open to the public and one can visit the dig site and see some of the fossils which have yet to be removed from their resting places. For those seeking entertainment there are a number of natural sites in the biosphere. Langebaan lagoon plays host to the largest hobie cat regatta in South Africa each easter weekend. Big Bay near Bloubergstrand plays host to two international sporting events annually. The first is the world championship sailboard competition and the other is the international kite surfing competition. Big bay is one of the top five venues for kite surfing in the world. Nearby are the Grootte Post and the Darling Cellars which produce world class wines, some of which have won prestigious awards and are open for wine tastings daily. Whale watching can be undertaken along the whole coastline as whales visit the area between July and November each year. There are no long queues to see the whales as you would find along the Southern coastline when Hermanus has its whale run. This biosphere is also home to the Swartland which is known as �The Breadbasket of South Africa� as it supplies most of South Africa's wheat requirements. 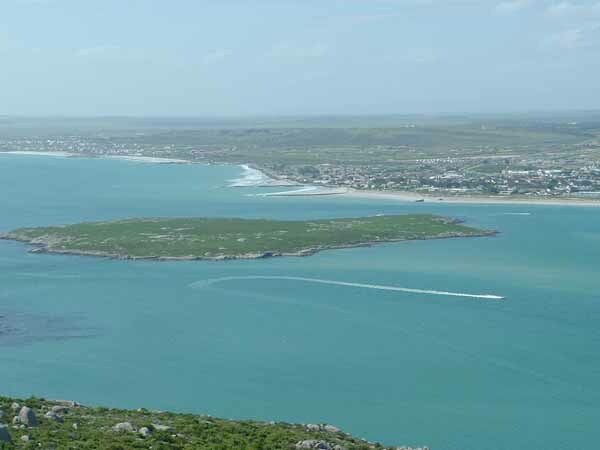 The estuary of the Berg River which enters the sea near Velddrift to the north of Langebaan is home to two local industries, the production of salt and the of drying and salting of fish known as bokkems. Salt production is one of the largest in South Africa. 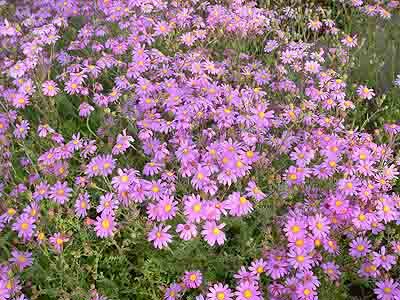 This biosphere has some of the best wild flower displays in the Cape with many varieties of spring flowers flowering in early September after the winter rains. Best of all is the climate of the West Coast, which has a lower rainfall and cooler summers than those you would find in Cape Town itself. Nights are fantastic for stargazers as there is very little light pollution and stars can be seen in all their glory. The West Coast Biosphere is well worth a visit. Why not plan your next holiday with a tour into the area.